Moonraker Pool Cover Services was founded in 2011. 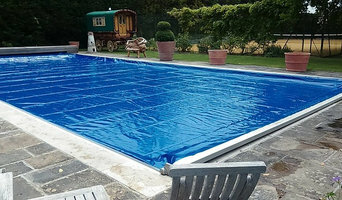 We provide a range of services for keeping your swimming pool cover in tip-top condition and full working order. All Aspects Pools creates complete garden environments, with custom pool designs as a centerpiece. We begin with the lives of our customers, their hopes and dreams, needs and passions. Then we design and build flexible, elegant spaces that enhance their worlds. From the intimate to the majestic. 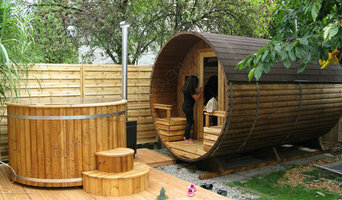 Urban Cedar Hot Tubs is based in Bristol, England and was established in 2004. We design and manufacture an Exclusive, award winning range of contemporary cedar hot tubs. Our premises include a showroom with private changing facilities, offices and warehouse holding over 30 hot tubs. Allpools and Spas Ltd have a range of hot tubs, log cabins, swimming pools (including the Endless Pool) on display as well as stocking a complete range of chemicals and accessories We have recently moved to Dobbies Garden Centre from our previous location in Glastonbury, where we had been based for the last 20 years. This move has enabled us to display our new range of log cabins, which can be used as garden rooms, home offices, pool rooms or for residential use. One of the cabins on display houses an Endless Pool, the unique product that can be used as a high performance exercise pool, a fun family pool or for hydrotherapy applications and rehabilitation. We also use one of our larger cabin as our shop, where we stock a wide range of pool and spa chemicals. We also display a number of hot tubs from both the Beachcomber and Elite brands that we sell. In addition to the display models, we also have a working tub that enables customer to see the tub in action and even try it out for themselves. We cover both the domestic and commercial markets and serve our local market within a 50 mile radius. Of course, we don’t all have the room, money or climate for our own swimming pool, but hot tub prices are usually less than swimming pools' and are a more compact, weather-enduring option, too. With Bristol hot tub suppliers available on Houzz, you can compare prices, photos of hot tub installations, reviews, recommendations and ratings from previous clients. How will Bristol hot tub and swimming pool builders install my pool/hot tub? Do you want your Bristol swimming pool builders or hot tub suppliers to help you with maintenance and repairs? 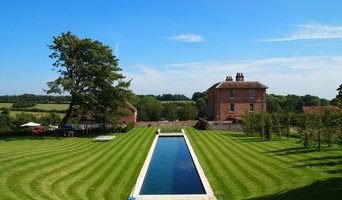 Find swimming pool builders or specialists on Houzz. 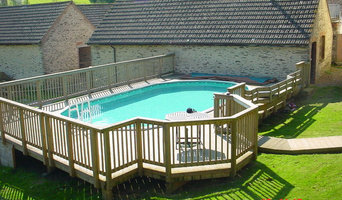 Narrow your search in the Professionals section of the website to Bristol swimming pool builder or hot tub supplier. You can also look through Bristol photos by style to find a swimming pool installation or hot tub installation you like, then contact the specialist or builder who designed it.